4 Range types will be descripted in the following examples. You just need to drag the mouse to select the range that you want. The vertical range contains two or more cells in the same column, such as: A1:A4 or entire column (A:A). 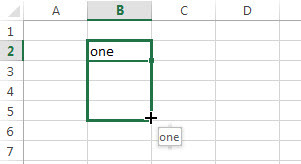 The horizontal range is in the same cell, such as: A3:C3, and if you selected the entire row, such as: row 1, it can be indicated as “1:1” . 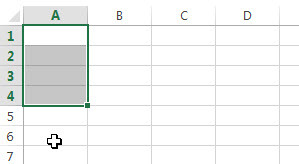 The mixed range contain multiple rows and columns, such as: row2-row4 and column A-Column C, it can be indicated as: A2:C4. 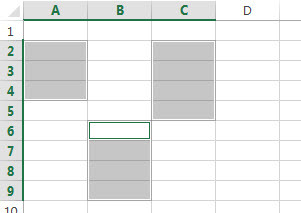 Non adjacent Range is a collection of nonadjacent cells, For example: we can select multiple selection range as one Range: such as: A2:A4, B6:B9, C2:C5. Note: before select other range, you need to press “Ctrl” key so that you can select multiple selection range or just only can select the current range. Note: the selected range will be highlighted at this moment. 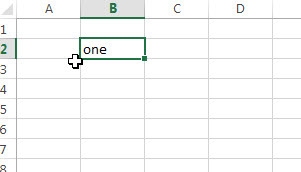 Step2# Select destination cell where you want to paste that range, such as: we will select F2. 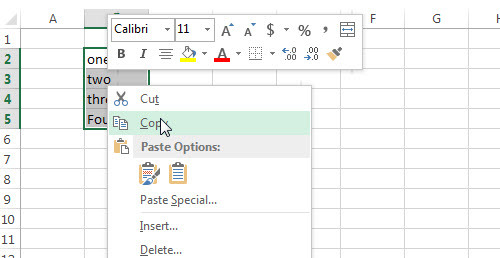 Right click it, then click Paste under “Paste Options:” or just press “CTRL” + “V”. Another way: you can click on the border of the range, then drag it to the new location.